Felinine (2-amino-7-hydroxy-5,5-dimethyl-4-thiaheptanoic acid) is a sulphur-containing amino acid present in the urine of certain members of the Felidae family including the domestic cat. Discovered by Datta and Harris (1951), 24 h felinine excretion levels of entire male cats have been reported to be 25 mg kg-1 body weight whereas castrated male, entire female and spayed female cats excrete 8.5, 7.5 and 4.1 mg kg-1 body weight (Hendriks et al., 1995). Precursors of felinine synthesis were recently shown to include cysteine and methionine with cysteine being a more immediate precursor for felinine synthesis than methionine (Hendriks et al., 2001). It has been hypothesized since the discovery of felinine that this amino acid is present in the blood of cats at extremely low levels or synthesized in the kidney and directly excreted in the urine. Recently however, Rutherfurd et al. (2001) identified a felinine containing tripeptide (7-glutamylfelinyl-glycine) in the blood of domestic cats, opening the possibility that felinine synthesis occurs in other tissues (most likely the liver) within the body and is transported to the kidney in a tripeptide form. Synthesis of 7-glutamylfelinyl-glycine has been hypothesized to occur in the liver through a condensation reaction of an allylic carbonium ion and the amino acid cysteine in glutathionine (Hendriks et al., 2001). 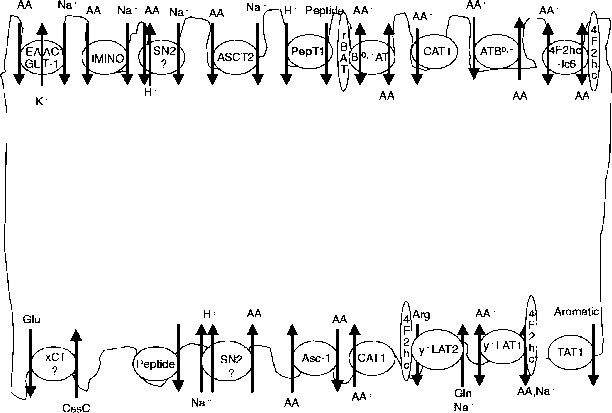 7-Glutamylfelinylglycine once transported to the kidney can yield free felinine which can be excreted in the urine through the action of the common glutathione degradation enzymes, 7-glutamyltransferase and aminopeptidase M. The latter 'liberation' of felinine, however, remains to be proven. To allow normal levels of felinine synthesis in domestic cats, the sulphur containing amino acid cysteine or methionine is required with the amounts required being dependent on the gender of the animal.